When you’re travelling it’s always a good idea to have access to extra funds for flights, accommodation, extra spending money or emergencies. That’s where a student credit card can come in handy, and with our fantastic introductory offer you’ll pay 0% interest on purchases for the first 6 months. 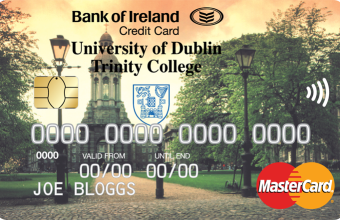 Graduates can avail of the Student Credit Card for 2 years after graduation. Click here to apply now. 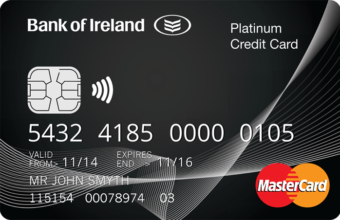 Up to €1,000 credit limit: Gives you an immediate credit limit of €500 in your first or second year of full time study and up to €1,000 if you’re in third year or above of full time study. No annual account fee:1 No hidden fees or charges. 0% interest on purchases: For the first 6 months2. 24 hour approval:3 Get a credit card approved within 24 hours and receive your credit card within 1 week. Free travel insurance: Free worldwide multi-trip travel insurance feature. No interest is charged on your Credit Card Account provided you pay your bill in full by the payment due date. Choose your own monthly repayment amount (minimum of 2.5% or €5, whichever is the greater). 2 Available for new credit card customers. After 6 months from the date of account opening standard interest will apply to purchases the details of which are outlined in the rates section.